We have been playing around with our Yonanas gift I mentioned in yesterday’s post, and this is one of my favorite combinations so far. Very simple, and takes all of 60 seconds to make, so I can’t use that excuse of not having time to make a healthy breakfast anymore…darn it. This would be simple to blend in a blender as well! My children think its ice cream so we fool them with this surprise treat on occasion. Green smoothies in the blender are also ideal for serving up multiple vegetable servings for breakfast with a sweet disguise. Will share more of these soon, and can’t wait to introduce you to my new food columnist! These look so good! With only a couple ingredients needed, and 60 seconds to spare, seriously, you can’t make an excuse to not do this. I love simple breakfasts 🙂 ** and I love that spoon too! This looks amazing! And your pictures are fabulous! Pretty photos! I can’t wait to try this recipe out. yum! so simple and looks delicious. and gorgeous photos too :). Now that would have been a first trimester staple for me! Actually, the whole pregnancy I just couldn’t get enough of cold and fruity anything. Can’t wait to see this food columnist of yours! Love this!! I will defintely have to try it! I look forward to seeing your new columnist! This looks really good! It will go perfectly with my lose ten pounds plan! XO Can;t wait to see who your new food columnist is! yum yom yum yum yum yummyyy!! this looks soo good! getting more hungry ever second! Looks delicious and super cute photos! I love freezing overripe peaches, and mixing with honey/agave and greek yogurt. Very easy indeed and it sounds yummy! I’m not a fan of greek yogurt though, but I wonder with the fruit if you can really taste that part? Hi Jen! 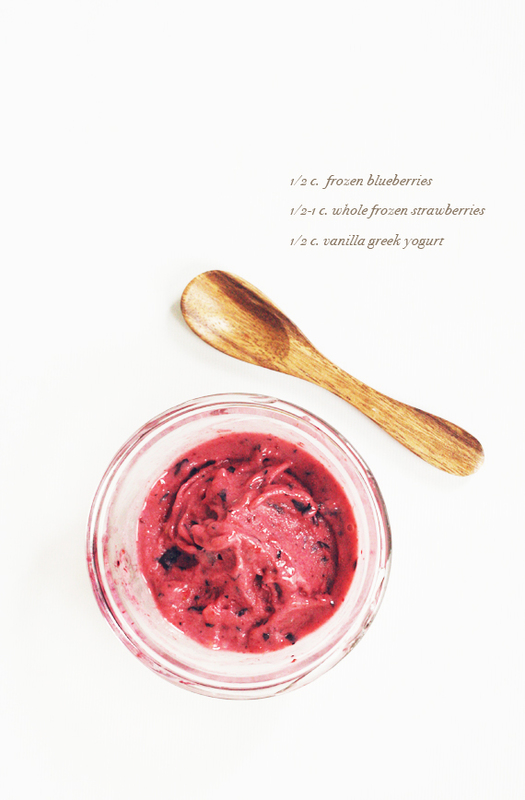 You could easily substitute for regular yogurt, but we actually make it with just fruit all the time. So good! How easy is that! And it looks so yummy! Oh me oh my that sounds delightful! One minute, you say!? Count me in! This looks so amazing!I will so be trying this. yummy!!! 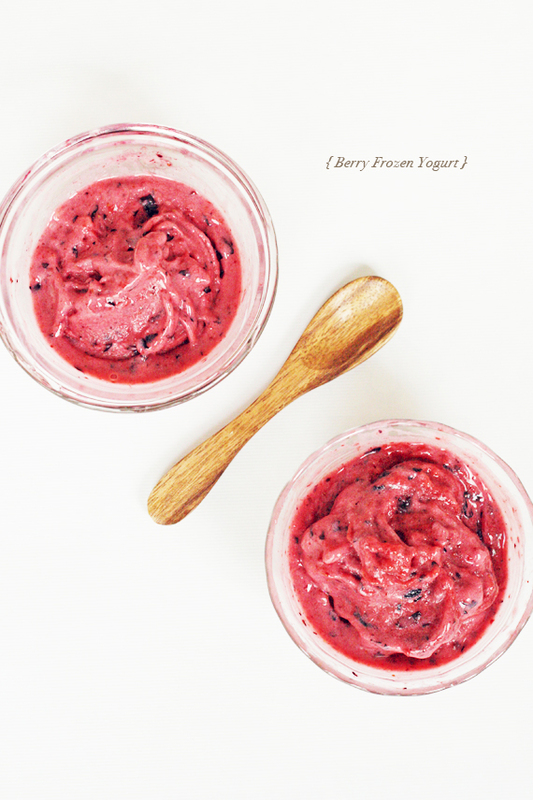 I love using frozen fruit through my juicer as well–it comes out looking like smooth yogurt 🙂 I’m lovin’ your blog!! I’ve pinned your ideas before on pinterest and didn’t realize they were yours until now!! definitely following you, miss fabulous! i’ve heard of this yonanas thing and i wannnnnt one. also, awesome pictures. Oh Hey Baby: Weekend Review. entrepreneur only having to ‘turn the key’ to start business operations. thee complaints registered by their previous clients.